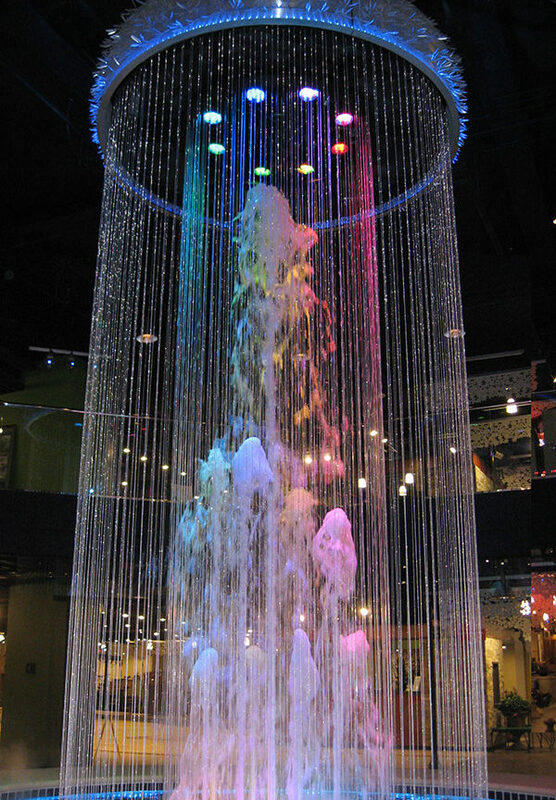 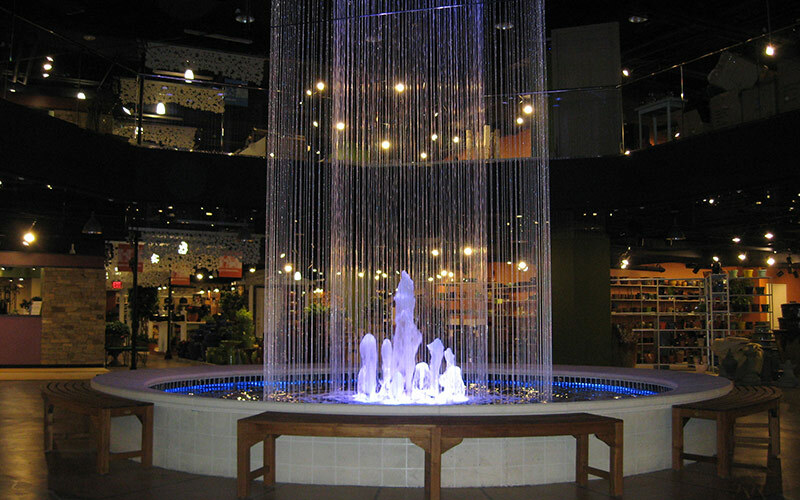 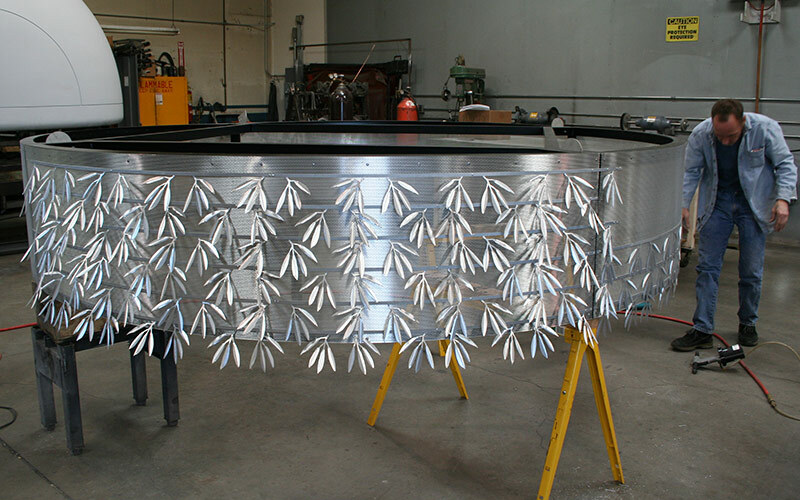 Technifex created and installed the custom central fountain feature for the AmericasMart Design Center in Atlanta, GA. 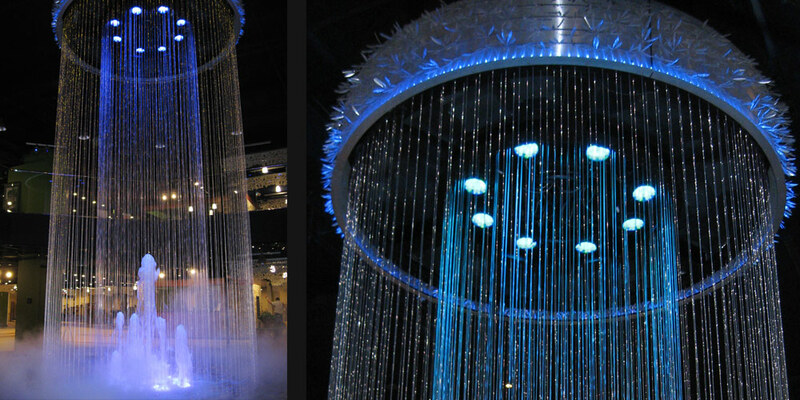 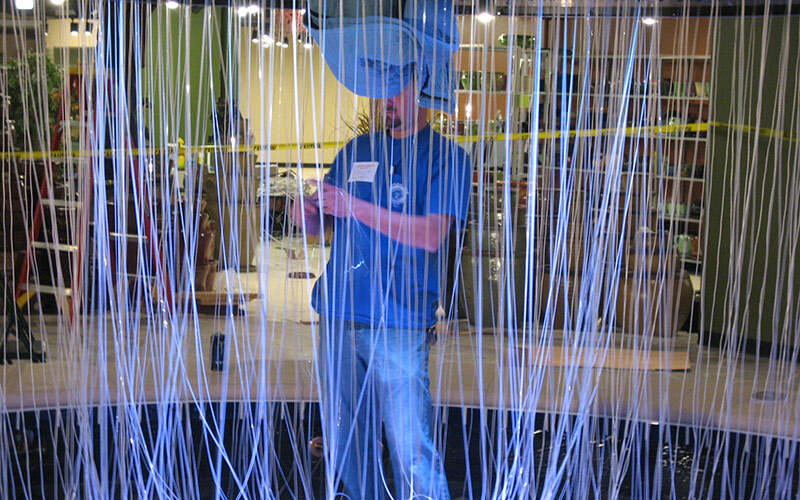 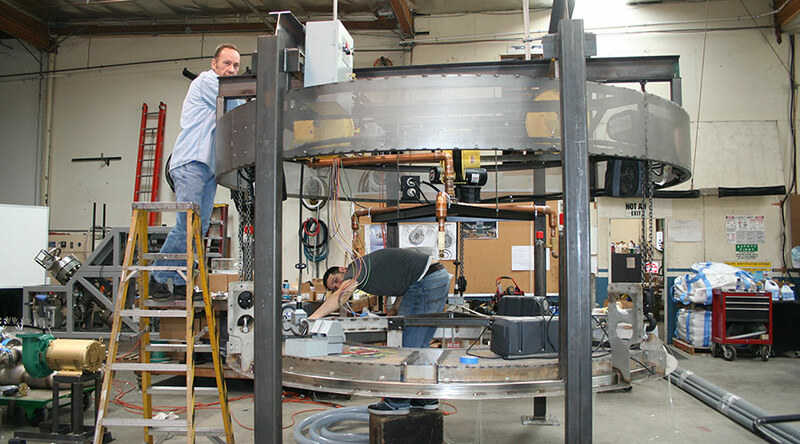 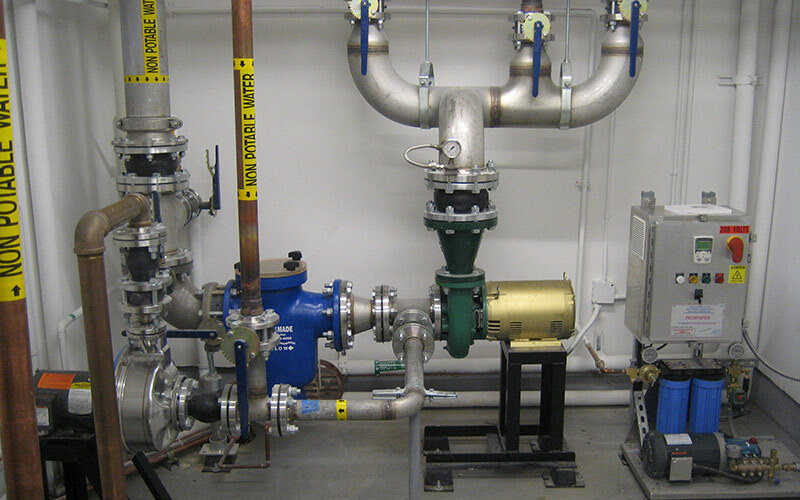 Located between the 7th and 8th floors of the building, the central fountain consists of several fountain nozzles surrounded by an inner ring of water cascading down Mylar ribbons and an outer ring of “cracked glass” fiber optic strands, topped by a custom metal sculpture. 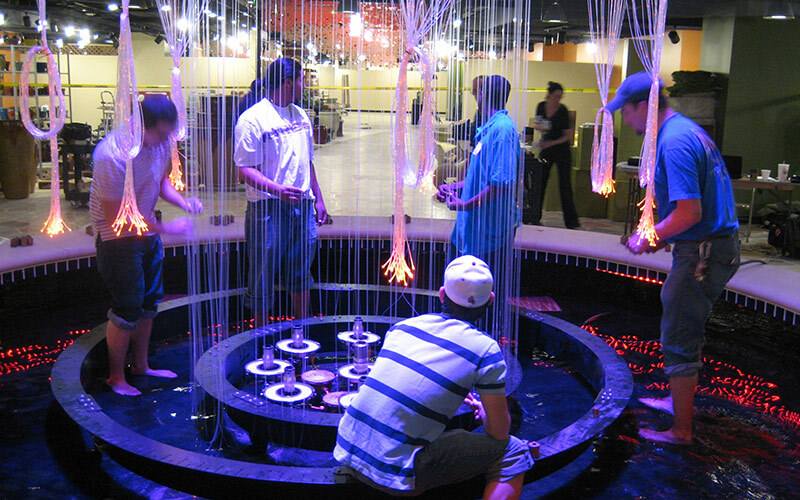 The fountain is further enhanced by the addition of lighting and music.